Ben has always been an athlete and played high school and college football. He loves CrossFit because of the camaraderie within the community and the constantly varied style workouts. Ben coaches to celebrate in member’s success whether it’s someone new achieving a short term goal or a veteran who has spent many hours at the gym to reach a long term goal. Ben has a bachelors in physical education, health and special education. 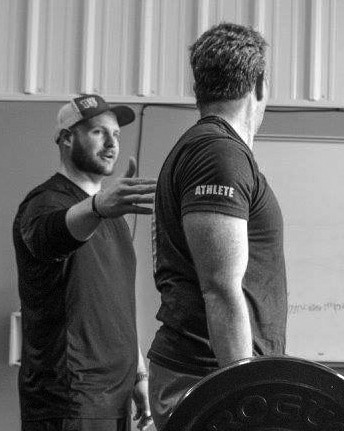 He holds the CrossFit Level 1 and CrossFit Football certifications, CPR/AED certified. Ben went to the 2013 North Central CrossFit Regionals on a team. He coaches high school football and middle school basketball. He enjoys working out with his beautiful wife and spending quality time with his two young daughters.